Be the first to hear when your favourite bands are coming to town! 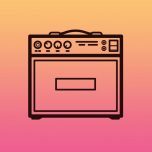 ConcertBot allows you to find shows in your area, purchase tickets and get on the list to hear first when your favourite bands come to town! Невероятно полезный и отличный бот! Vine is the entertainment network where the world's stories are captured, created and remixed. Watch the moments that start trends and influence culture. There's never a dull moment. Now you can use share Vines to make your conversations more entertaining. We love to make you laugh. Just tap ‘Chat’ for guaranteed hilarity. If you love watching funny videos and memes you will enjoy chatting with me. You can easily turn your regular messages into a series of funny clips.